This survey is now closed. Thank you to all who entered! 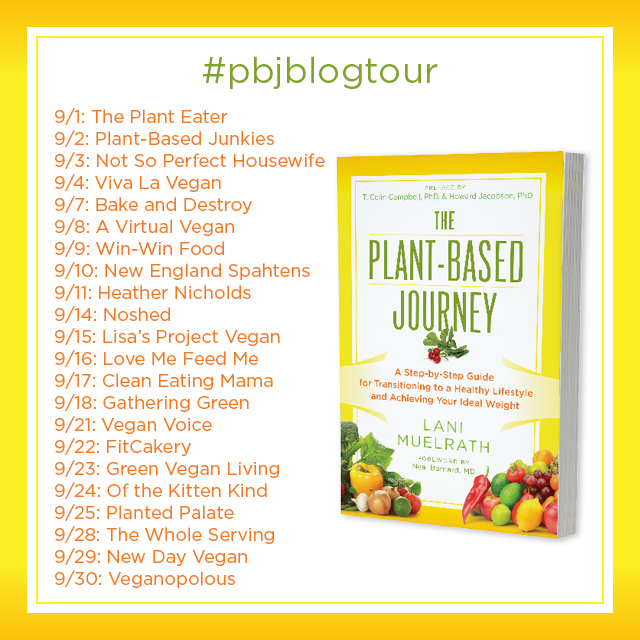 The fact that Lani performed a survey of over 1200 people that had gone through a plant-based journey; their responses and insights are sprinkled throughout the pages of the book. Lani breaks down the plant-based journey into 5 segments: Awakening (when you're thinking about making the lifestyle changes to a plant-based lifestyle), Scout (investigating, inquiring, learning more), Rookie (usually overlaps with Scout, when you're starting to eat more plant foods), Rock Star (at least 90% of your calories come from plant foods), and finally, Champion (you're feeling at ease with eating a plant-based diet). There's an abundance of citations of and references to scientific studies and articles, showing scientifically-sound reasons to choose a plant-based diet (there are 11 pages of endnotes!). Lani's continuous emphasis on eating a whole-foods diet, rather than focusing on individual nutrients. This line (found on page 11): "The food you eat is arguably the biggest health, medical, environmental, conscience and sociopolitical decision you make every day." Chapter 3 contains a sampling of one week of whole-food, plant-based meals. The book contains personal journeys of patients who now eat predominately plant-based diets. Chapter 8 offers a plant-based meal planner. Lani emphasizes physical activity as an integral part of the entire lifestyle change. She recently made a CBS TV special on "plantifying your plate". See it here.